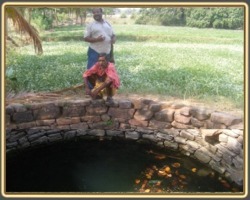 Sanitation intervention in Puri district supported by Water Aid is a unique project of different nature. It is implemented by UAA though a consortium of 6 Network Partner Organisation. After completion of construction in 50 villages during 1st phase another knowledge partner i.e. the London School of Hygiene and Tropical Medicine (LSHTM) will undertake study on impact of exclusive toilet use on health status of women and children. The toilets of BPL households constructed under the project will be subsidised by District Water and Sanitation Mission. The fund generated thereof will be utilised to subsidise for the real poor families whose names were not enrolled in Govt. Enlisted BPL families supplied by DRDA. Also the rest of the funds will be used for IEC activities in rest 50villages earmarked for 2nd phase. 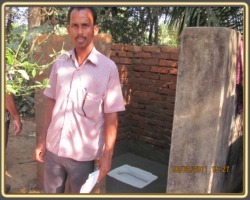 Promotion and construction of individual HH toilet in 100villages of Puri district in two phases. This will be implemented by a consortium of NGO partners identified by UAA. Formation of village water sanitation committee (VWSC).Training and skill building of VWSCs.Rigorous IEC intervention and community mobilisation.Creating a cadre of skilled masons to undertake low cost water seal toilets.Involvement of various stakeholders both govt. And non govt. In the process of PIME.LSHTM will undertake study using different parameters engaging its band of researchers.The process documentation will be carried out by Xavier School of Management, Bhubaneswar. 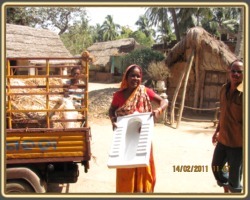 All families in 100 villages identified by LSHTM where toilet coverage is below 10% before project starts. It covered 100 villages in 7 Blocks of Puri districts. Broad Activities are Involvement of schools, SHGs, PRIs, Govt. Grassroots functionaries, IEC activities as required. Construction of Individual Household Toilets.Campaign for usage and maintenance as well as improvement.Documenting process of implementation and dissemination. The project goal is to renovate the damaged tank of 40 hectors or more and taking necessary steps as per the communities view and technical feasibility for the sustainable development of the tank system users. Empowerment of tank users community people. Reduction of livelihoods vulnerability of the stakeholders. Ensuring peoples participation, contribution and collaboration in the project. Strengthening of the community based organization/s viz. Pani Panchayat. Renovation of the tank system. Livelihood support services to the tank users. Handing over project management to the Pani Panchayats for future operation and maintenance. Livelihood support services to the tank users through agricultural livelihood support services by increasing production, productivity and profitability of agriculture, horticulture, livestock, fisheries production system, foreshore treatment and agri- marketing system with the support of line departments. 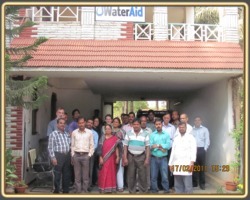 Capacity building of the existing institutions in the community level. Renovation of the damaged tank system through civil engineering rehabilitation renovation activities. Strengthening of the community based organizations to assume the responsibility for improvement and future management of the project.